Avalon is one of those amazing kids who excels at math and science and the fine arts. She takes advanced level classes and there are times when the work gets pretty tough. What better way to face the daunting task of a quadratic equation than armed with a little sparkle power? 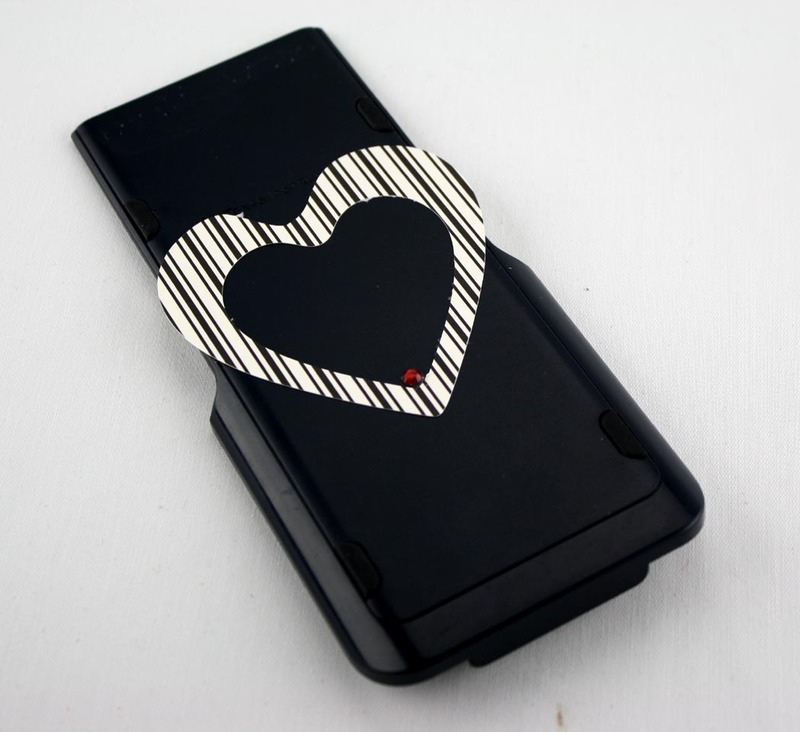 Tulip PDA (Personal Dazzle Assistance) makes quick work of taking a calculator from blah to BLING as quick as you can say Pythagorus. Isn't this fabulous? I am a proud mom indeed. Go, Avalon! 1. 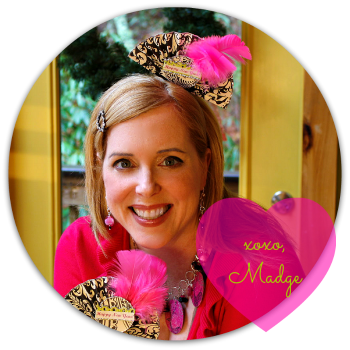 Use template and tool to create open center heart using cardstock or scrapbook paper. 2. 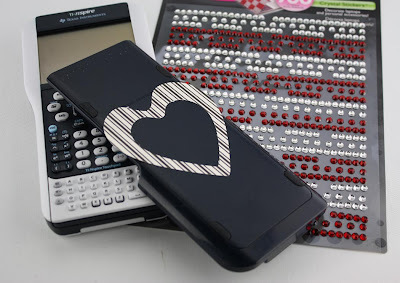 Use tape runner to add a little stick to the back of the stencil and adhere to the center of the calculator cover. Be sure cover is clean. 3. 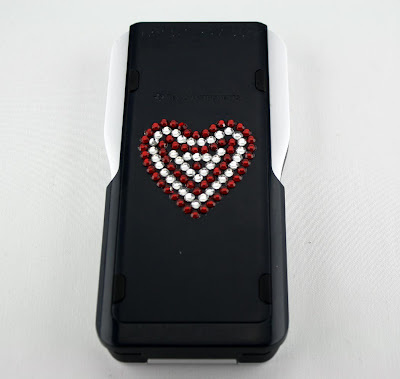 Starting from outside work your way to the center of the heart adding crystals as in photo. Alternate between red and clear crystals until you reach the center red crystal. Remove stencil and wipe any glue residue away. 4. 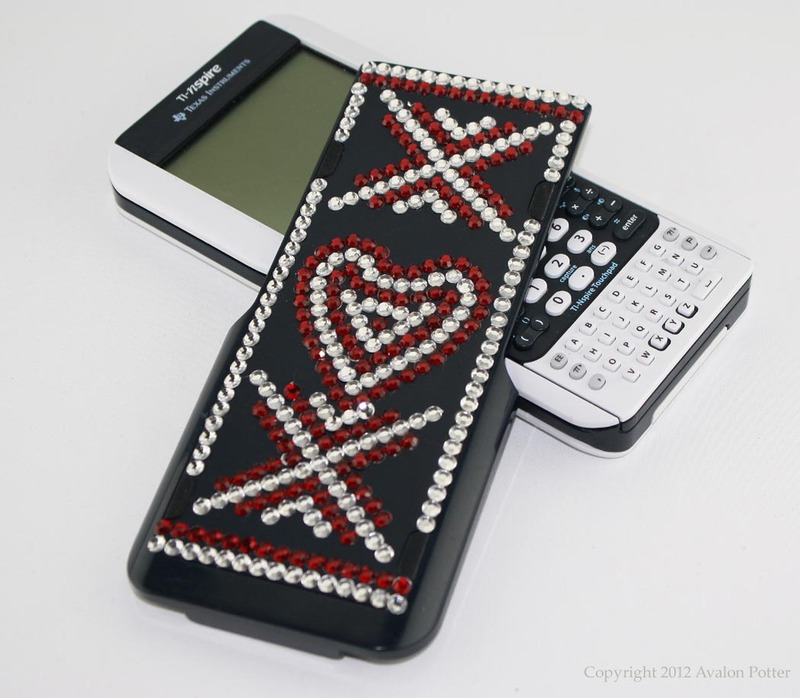 Use the crystals to frame the outer edge of your calculator cover. Work only on the hard areas, leave the soft areas uncovered. There are 16 clear crystals at the top and bottom with 15 red crystals directly beneath them. On the sides there are 5 clear crystals on the top sides and 22 clear crystals on the bottom sides. This is a TI-inspire calculator, so adjustments will need to be made if using a different model. This calculator cover is 3"x8". 5. To create the x patterns, form a v shape with five clear crystals at the point of your heart. 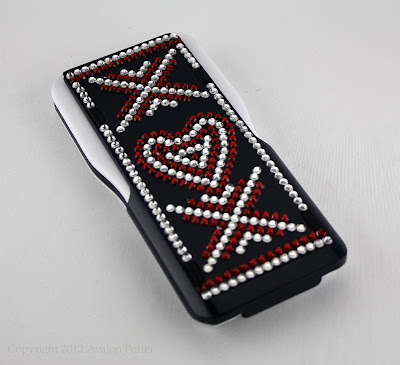 Add a second 10 crystal v shape using the red crystals. Create a 15 crystal v shape using the clear crystals. Repeat this pattern to form a mirror of the top half as in picture. Add 10 red crystals in the open areas of the center crystal x as in picture. Repeat this process at the top of your cover. 6. Check back to be sure all crystals are securely applied. Now get to that math homework already!